Valuable resources, offered freely to support you as you grow your business. FREE Strategy & Sanity… delivered to your inbox. This is your easiest access to free business-building classes, strategic tips and useful articles, plus gives you first dibs on special offers… everything you need to get more clients with less effort. These are our most popular FREE step-by-step articles + Action Guides for growing your business and generating more clients. 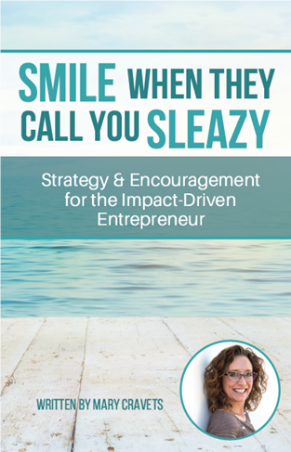 (almost free) Strategy & Encouragement… right when you need it. Entrepreneurship is not for the faint of heart, and to succeed, being smart and strategic isn’t enough. You also need a cast-iron sense of humor to give you the fortitude to keep going, even when business goes sideways. This book is your companion for those crazy days. “I've read a lot of books, probably way more than the average reader, and I've also been an entrepreneur all of my adult life. Around the world, Mary teaches simple strategies for business growth. Check out her calendar of events to see when she’ll be in your area. We’re most active on Facebook, so definitely LIKE our page here to get in on all the fun. And we drop in consistently on Instagram, LinkedIn, Pinterest, and Twitter… just choose where you like to play, and we’ll see you there! Click here to listen to Mary on Podcasts and read up on her quotes in articles. 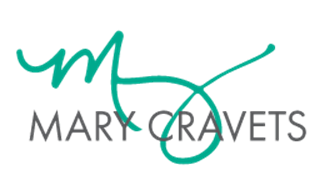 Whenever and wherever Mary talks or is quoted we add to this page so you can easily keep up with her!